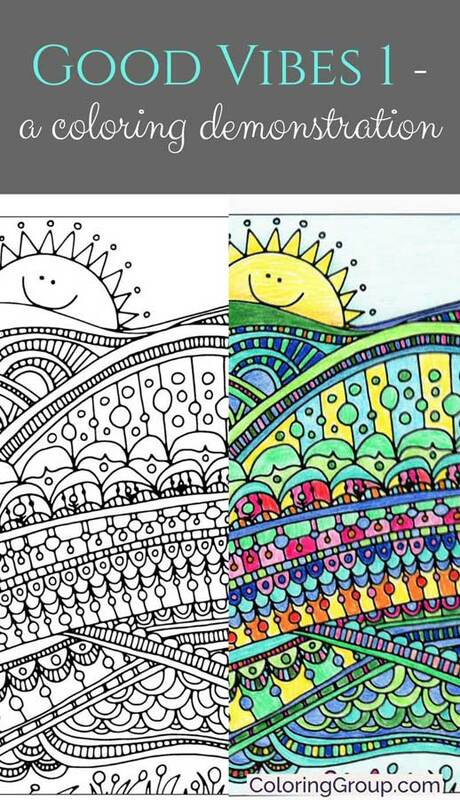 Do I color my own coloring pages? Yes, I do. As a coloring book artist, I think it’s important to color your own drawings, so you understand the experience. It’s why I create lots of different kinds of coloring books. Some people want big, bold areas to color. They want to complete them in one sitting. Others want tiny, detailed areas, and pages that take a long time to complete. And some want a mix of both in every coloring book. Also, I was using three brands of coloring pencils: Pluqis, Prismacolor, and Staedtler. I was impressed with Pluqis. For the low price, I expected very hard leads that wouldn’t blend well. Instead, I love them. They’re not as brilliant as Prismacolor colors, but I often use Pluqis first. Then, I add dazzle with Prismacolor coloring (lightly) over the Pluqis areas, or using Prismacolor for highlights & shadows. Tip: Prismacolor leads can be just slippery/oily enough that it’s difficult to color over them… unless you’re using another Prismacolor pencil, that is. So, I usually sketch in my color ideas with Pluqis, first. If I don’t bear down too heavily on the paper, I can usually color over Pluqis with Prismacolor… but not always vice versa. Prismacolor pencils are pretty much the top of the line for most coloring book enthusiasts. They’re soft, they blend well, and… yes, the price can be daunting. 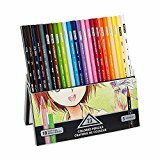 I bought their Manga set, which is priced fairly low at Amazon.com, and it includes some good, juicy brights and subtle darks. I also use Staedtler’s bright colors (with soft leads), but – to be honest – they’re in third place. Where I used to use Staedtler, I now use Pluqis when I can. However, I know people who consider Staedtler the absolute best among colored pencils. So, it’s probably a matter of taste. And, sometimes Staedtler is the only line with the exact color that I need. I hope those tips help. I’ll share more creative ideas – and coloring videos – soon. Meanwhile, I hope you’ll try my Good Vibes coloring book, and let me know what you’d like more of, in the future.